On 27 and 28 April, Budva, in Montenegro, hosted the third edition of Adriatic Sea Forum – cruise, ferry, sail & yacht, the itinerant international event by Risposte Turismo. More than 200 delegates joined us for two days of fruitful meetings and debates. 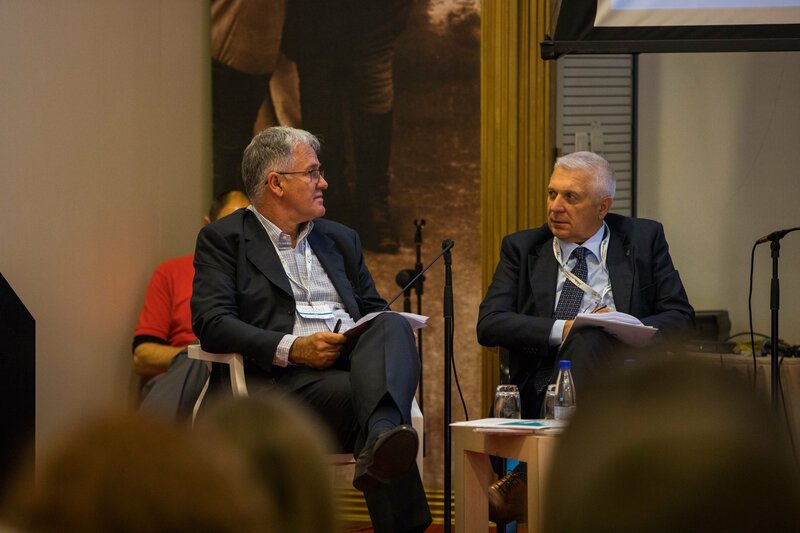 Boating, ferry and cruising were at the center of the Forum, where European funds and programs, international private and public collaborations, joint promotion, investments in infrastructure, sustainable development, environmental priorities and much more have been presented and discussed. A stronger cooperation among countries and at local level, a new approach for the realisation of boats that could take care of the raise of yachtsmen’s age, new initiatives tailored for young people and the enhancement of marinas’ service to satisfy the needs of charter companies clientele, were among the main topics discussed during the second round table dedicated to boating tourism in the area. The meeting was attended by Zoran Brkić, CEO, Adriatic Sailing, Srećko Favro, President of Adriatic Expert, Piero Formenti, President of European Boating Industry, Vittorio Impallomeni, Advisor to the Board of Directors of Assomarinas, Kristijan Pavić, as President of ACI Club, and Ivana Petrović, Senior Adviser, Maritime Safety Department –Montenegro Ministry of Transportation. Piero Formenti explained the needs of the recreational boating sector, including an harmonization of taxation and of professional skippers' qualifications. Continue to follow the Adriatic Sea Forum project, keep updated on the website (adriaticseaforum.com) and on social accounts on Linkedin (Adriatic Sea Forum) and Twitter (@AdriatiSeaForum).